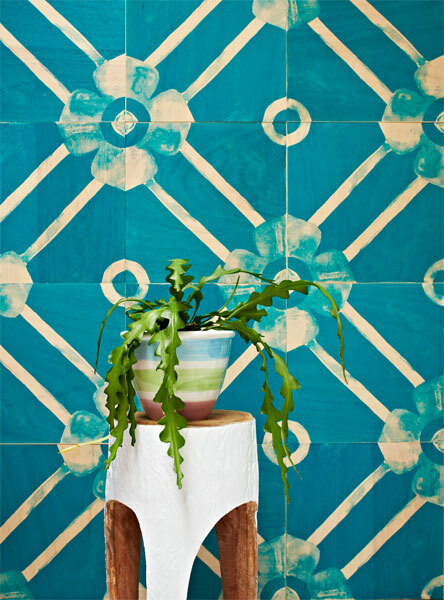 One of our favourite textile design companies is the delightful Melbourne-based bonnie and neil. What's particularly inspiring about their work is an authenticity and an honesty that is borne of finding inspiration in things closest to them. Their current range, for example, is influenced by the shapes and textures of Australian flora and fauna. Bonnie’s background as a florist and textile designer is routinely displayed in her use of both floral and geometric patterns in fabric design, and Neil is driven by simplicity and sustainability and truth to materials in his furniture design. Here is an example from the range titled South Pacific.